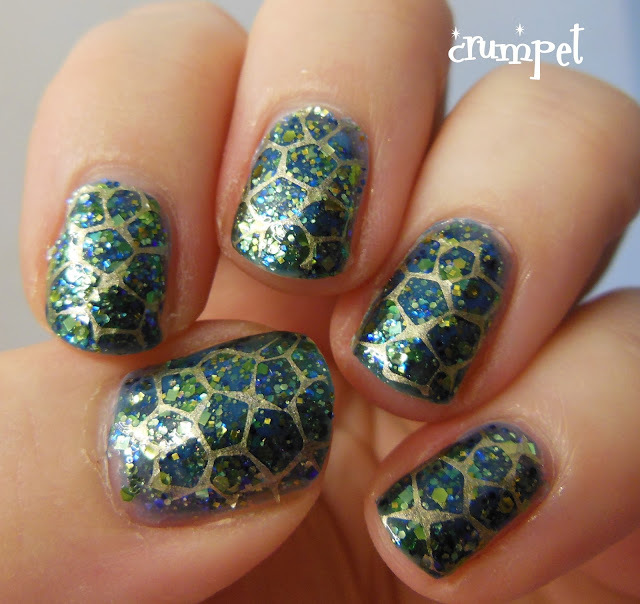 The Crumpet: NEW31DC Day 14 - Stamping - Dragons !! 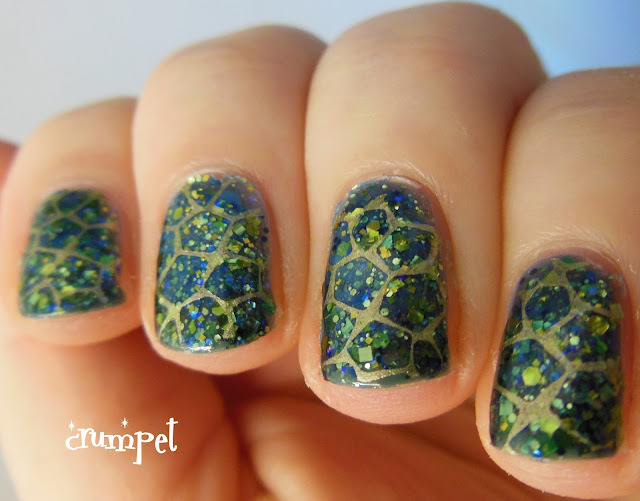 It feels like it's been a while since I did a stamping post, so today's theme was well-timed. A couple of months ago, I bought ALL the Hare polishes on Llarowe, and over the last few weeks I've been steadily swatching them (they'll get to the blog sooooon). 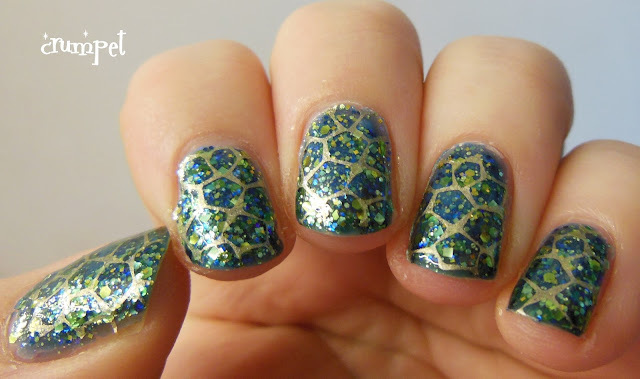 One of my favourites is called Golden Years - it's a fabulous navyish jelly polish with green themes and gold glitter. It's simply stunning. 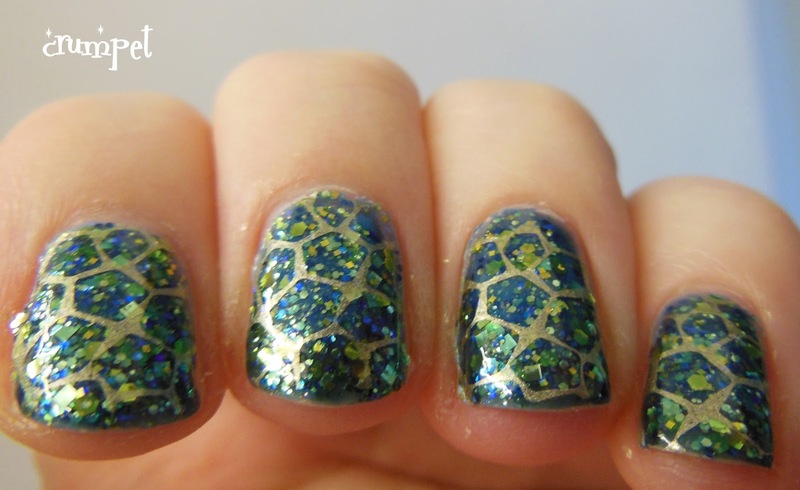 I wore it on it's own for a day and well .. you'll find out, but I love this polish a LOT. 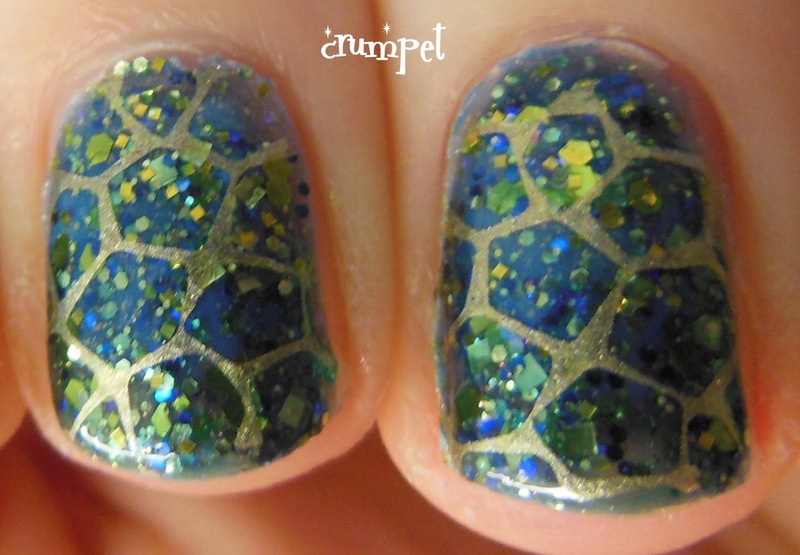 The more I looked at it, the more the glitter combo started to remind me of scales .... dragon scales. 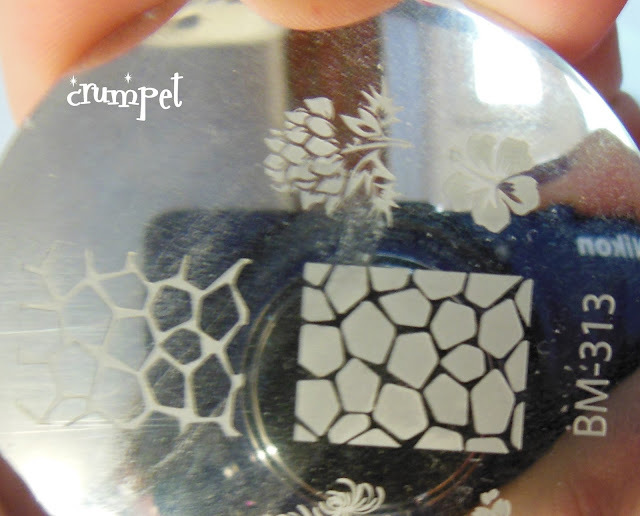 Now I didn't specifically shufty through my stamping plates to find something that looked like dragon scales - this after all, is quite clearly a giraffe pattern - but as I'd not really used it before, I decided it was the best candidate! 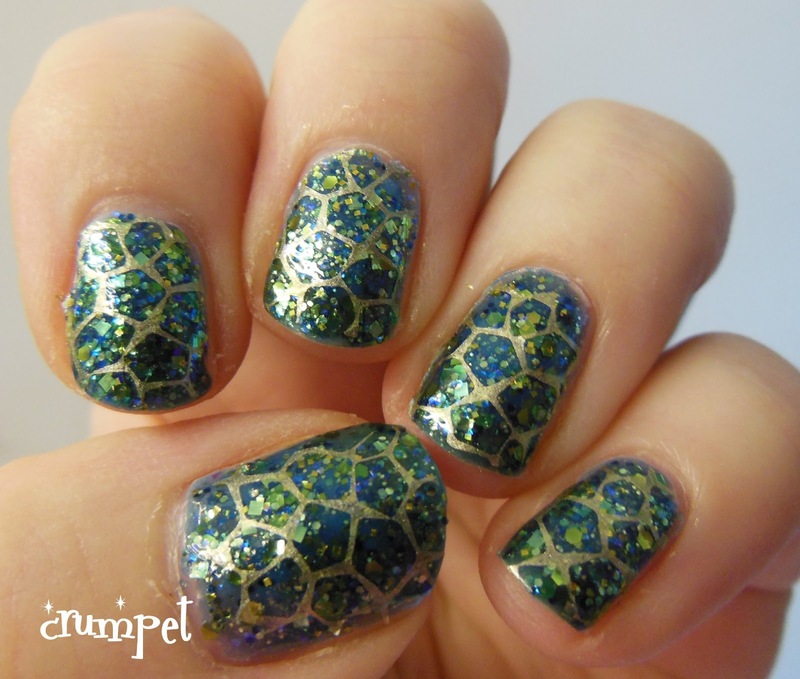 Also, the trick with such a beautiful polish is often to find a pattern that doesn't totally hide the base. I really liked the finished article, it was fun and funky, and if I was better at certain types of art, I might have managed an awesomely evil eye on the index finger.